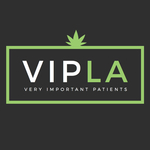 Established in 2005, VIP LA is founded on the belief that patients deserve something more than the service and quality commonly found in the industry of marijuana medications. The delivery supplies organically grown cannabis flowers and cannabis-infused products made of natural ingredients. Boasting large assortment, the company offers around 80 Indica, Sativa, and Hybrid grades along with a huge variety of concentrates, edibles, prerolls, and smoking accessories. What is more, it offers mmj seed for those customers who prefer growing plants themselves. The knowledgeable and courteous workers put customers’ satisfaction above all else and do everything possible to provide the most excellent customer service. The patients may rest assured that their orders will be delivered by couriers right on time. The delivery ships to Hollywood, West Hollywood, Beverly Hills, Atwater Village, Burbank, West LA, Silverlake, and Beach Cities. First-time patients receive free gifts.